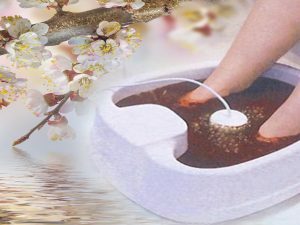 Enjoy our ionic detox foot bath (detox foot spa) testimonials. Our ionic detox foot bath testimonials will let you see how our clients have been helped with aching joints and fibromyalgia. Some who did not have specific illnesses just felt better. Either way, reading our ionic detox foot bath testimonials can encourage you to come and give it a try! Read Roberts Testimony for his kidneys. “I began looking for fibromyalgia pain relief over a year ago. At that time, my doctor told me my pain was called fibromyalgia. Then, he prescribed some medicine to relieve my muscle pain. I didn’t want to take the medicine so I came to Optimum Health for an initial consultation (now called a primary wellness consultation). Though I didn’t know if it was possible, I came hoping they could help me decrease my muscle pain without medicine. I had my first detox foot spa then. My muscle pain dropped from 12 (using 0-10 pain scale) down to a 3 by the time the detox foot spa was over. The next day, I noticed that I did not have any muscle pain at all. Indeed, total fibromyalgia pain relief! My muscles didn’t hurt me again for 8 whole months. I was very pleased. “Fibromyalgia pain relief seemed impossible after being diagnosed, spending many years hurting all the time and then being put on disability. At the suggestion of a friend, I went to Optimum Health for my first detox foot bath. My fibromyalgia pain dropped down to zero by the time the cleanse was over. I had no fibromyalgia pain for two whole weeks! Patricia has finally been able to follow her detox schedule faithfully. As a result, she has not had any fibromyalgia pain for over a year. She is able to lead her full life once again. “I started looking for fibromyalgia pain relief in the 1980’s when I was diagnosed with Fibromyalgia. Normally large gatherings are stressful for me and cause my fibromyalgia pain to flare up and become very painful. On those occasions, I have to take 2 Tylenol with Codeine every 4 hours. Still, I end up in the bed struggling with the pain. I have tried many medical suggestions only to get very little fibromyalgia pain relief. I came to Optimum Health a week ago. After having two detox foot spas and beginning a supplemental routine, I had a large family gathering. I was very pleased that I only had to take a total of one Tylenol with Codeine each day and I never ended up in the bed struggling with fibromyalgia pain. This is unbelievable. I know I have been helped! Betty’s aching joints were all over her body. Even with her prescription medicines, she could not get out of the bed on rainy days. 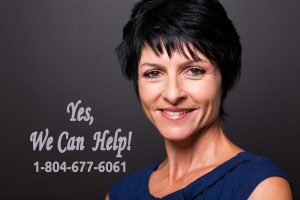 She attended one of Optimum Health’s Better Health seminars held in Heathsville, Virginia. There, she had her first total body cleanse. Nutrients were suggested to help her body continue to remove the arthritic inflammation. “I have been sick for just about all my life. The doctor’s have never been able to figure out what is wrong. I came to Optimum Health for a detox and consultation and was given hope. They took me seriously and had definite ideas about what my body was asking me to do. I have been coming to detox for a year now and continue to do my personal supplemental routine faithfully. 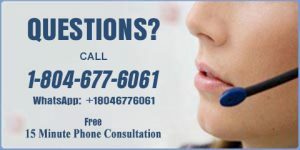 John was listening to Optimum Health Live, Optimum Health’s Radio Show, and decided to call and make an appointment for a nutritional consultation. “I have been to doctors who kept telling me I was fine, but I knew I didn’t feel fine. Optimum Health has helped me to feel fine. I don’t get that light-headed feeling anymore and I think so much better. Even my hair seems to be thicker…maybe I just need a haircut”, John says smiling. Once we realize that it is going to take a very long time for a client to finish the toxin dumping mode of the cleansing phase of his total body detoxification, we normally encourage them to purchase their own detoxification equipment from our center as it is more economical for them. In accord with this policy, it was suggested to Gregory several times that this be done. It was all to no avail as Gregory finally said, “I have considered purchasing my own machine. However, I am feeling so much better and I have learned so much each time I come that I just don’t want to stop coming!“ We feel that this is one of the most wonderful compliments that can be given. Of course, we explained that he didn’t have to stop coming. He would simply decrease to coming to once a week, twice a month or once a month. This would allow Optimum Health to oversee his cleansing process and make suggestions to continue guiding him through the process. At this point he was very pleased and purchased his own machine immediately. Over the course of over two years, once a month appointments have been suggested repeatedly. However, Gregory continues to come once a week as he said…“TO FEEL BETTER AND LEARN!“ After four years, Gregory finally completed the cleansing phase of his total body detoxification. 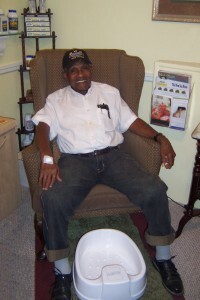 He no longer feels the need to come to Optimum Health for regular appointments. Pamela stated that her thinking was so foggy that she felt as if she was “walking in green pea soup”. She wanted her life back quickly so she decided to fast track her recovery by giving her body what it needed quickly. When she came in for her appointment a few days later she said, “The green soup is gone. I can think clearly again!” Yes, she is feeling better!